The Board of Directors recognizes and supports the principle that District funds are to be expended only for legitimate public purposes and not for private personal gain for which services of comparable value have not been rendered to the District. The Board of Directors, therefore, believes it is important to designate those expenditures for officers, directors, employees, and volunteers, which are in addition to salaries and benefits authorized and/or specified in Code 400 and legitimate expense reimbursements, which serve a legitimate public purpose. Mementos for employees for recognition of every five years of service to the District, with the mementos not to exceed $50.00 each in cost to the District. A retirement appreciation function once per year to recognize retiring employees with the cost not to exceed $10.00 per attendee. A recognition item upon the retirement of an employee, with the recognition item not to exceed $100.00 in cost to the District. A recognition item upon the end of service by a Board member not to exceed $25.00 each in cost to the District. A recognition item for the president of the Board of Directors upon completion of service as president, not to exceed $25.00 in cost to the District. Staff welcome and appreciation breakfast or lunch which Board members and employees attend (a limited number of invited community members may be invited also), once per school year, to recognize employee contributions and to promote communication between Board members, administrators, and other staff members, with the cost of the breakfast to the District not to exceed $10.00 per attendee. Meals for licensed interviewees (and if the interviewee is an administrative candidate, the interviewee’s spouse) and members of the interview committee accompanying the interviewee at the time of an interview not to exceed $10.00 per attendee if the interview extends over lunch and/or dinner. 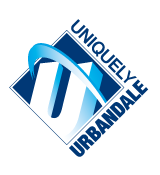 Meals on-site during staff development (in-service) meetings, committee meetings, and meetings hosted at Urbandale with the costs of the meals to the District not to exceed $10.00 per attendee. This is to promote a more efficient day so that staff members and attendees do not leave the premises. Light meals may also be served to Board members, the administrators, and other school personnel required to be present at Board meetings if the meetings are called prior to 7:00 p.m., or if they go unusually long, in order to enable the Board to continue with business without interruption, with the cost to the District not to exceed $12.00 per attendee. A volunteer appreciation function which Board members, employees, and volunteers may attend once a year to recognize the contributions of volunteers with the cost not to exceed $10.00 per attendee and where tokens of appreciation may be given to volunteers not to exceed $10.00 per volunteer in cost to the District. The Board of Directors also authorizes the expenditure of District funds for coffee and soft drinks in the school buildings. Coffee, soft drinks, light refreshments, such as cookies, may also be made available at Board and committee meetings to promote a welcoming environment and as a common courtesy for individuals who travel to the District building for attendance at District meetings and conferences. No District funds will be used to pay the cost of any alcoholic beverage and no alcoholic beverage will be available on school grounds.